Canberra: Australians will head to the polls on May 18, the Prime Minister Scott Morrison has announced, firing the starting gun on an election campaign that immediately saw both major party leaders vying to offer a uniquely Australian vision — a society and economy that gives everyone a “fair go”. 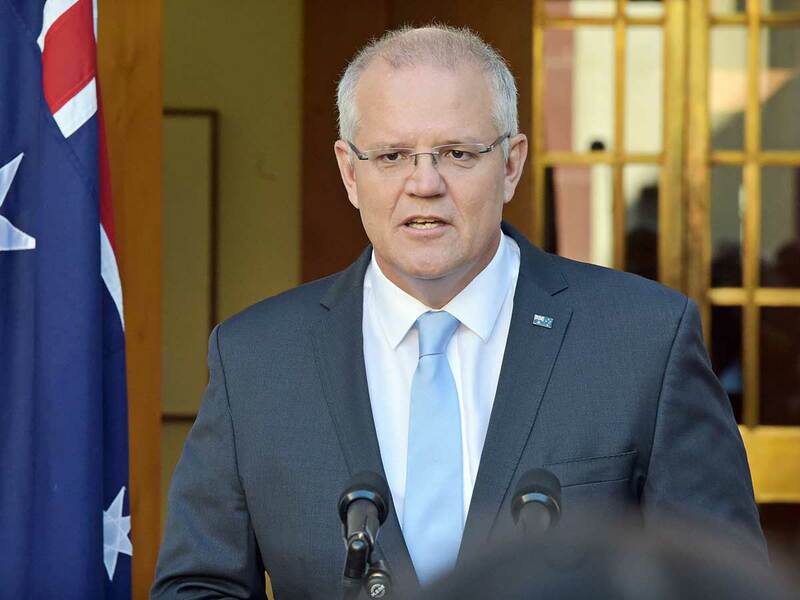 Setting out his economic credentials, Morrison earlier said the choice for voters was “between enterprise and envy”, and that electing a Labor government, led by rival Bill Shorten, would be “an economic leap in the dark”. Climate change and immigration are also key issues but serious divisions within Morrison’s Liberal party — which rules in coalition with the National party — will also be at the front of voters’ minds. The Coalition has held power since 2013 but is polling in second place after years of factional infighting and inaction on climate change. Morrison, a former treasurer, took over as prime minister after toppling his more moderate predecessor, Malcolm Turnbull, in 2018. Turnbull himself wrested the prime ministership from his Liberal rival Tony Abbott in 2015. The Liberal party has also been shaken by a series of high-profile resignations, accusations of bullying, and an embarrassing by-election result that saw the party lose the seat previously held by Turnbull to an independent candidate, leaving the government without a majority in the House of Representatives. The Coalition has been behind in the polls since mid-2016, though the last Guardian Essential poll had Labour’s lead narrowing of 52% to 48%. The party’s troubles intensified in August when Turnbull was dumped over his energy policy that split the party between moderates and pro-coal conservatives who were opposed to any action that would see Australia move away from coal-fired stations. The Coalition has since faced criticism for its lack of gender diversity. While 42% of Labor’s federal parliamentarians are women, for the Liberals the figure is 21% and the Nationals just 14%. One female Liberal MP reportedly cautioned Morrison last year that the party was viewed as “homophobic, anti-women, climate change deniers”. Morrison has tried to frame the election as being about economic management.